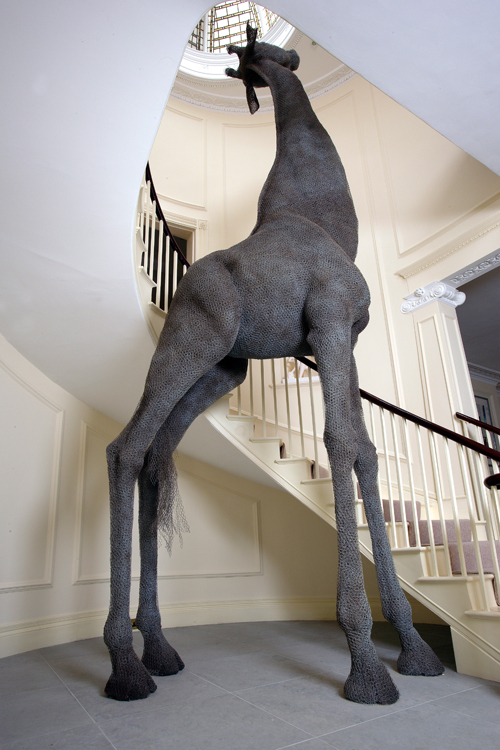 Kendra Haste is a renowned contemporary animal sculptor working with the medium of galvanized wire. Since graduating from the Royal College of Art in 1998, Haste has established a significant reputation in her field with work included in collections world-wide. She is a member of the Royal British Society of Sculptors, the Society of Wildlife Artists (UK) and a signature member of the Society of Animal Artists (USA). Public sculptures in the United Kingdom include an elephant at Waterloo Station, London. 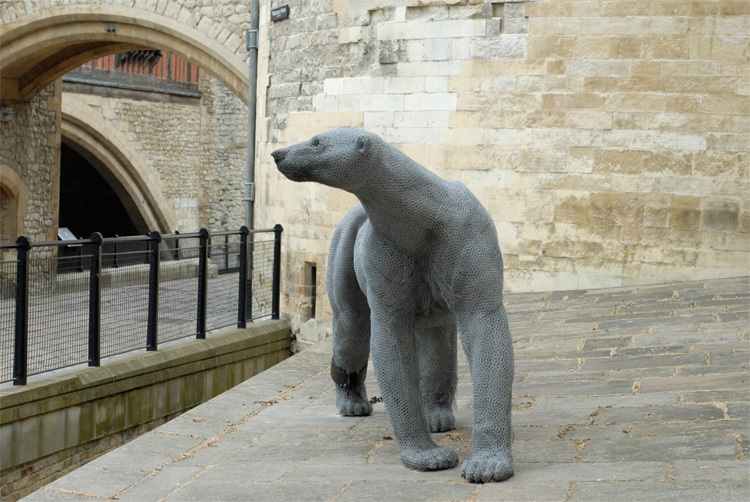 Thirteen works at the Tower of London, commissioned by Historic Royal Palaces in 2010 and a rhinoceros at Cannon Hall Museum, Barnsley. Her work is also in the collection of the National Museum of Wildlife Art, Jackson, Wyoming. Animals have held an obsessive fascination for me throughout my life. Their diverse form, nature and behavior provide a rich and inexhaustible depth of subject. Animals have been for many years and continue to be the sole focus of my work as a sculptor. The apparent ordinariness of wire and wire mesh belie their expressive potential and provide ideal material for my sculptures. Drawing is integral to my work as an artist and is perfectly matched by the linear qualities of wire. No other material I have ever used has been able to suggest the sense of movement and life, of contour and volume, the contrasts of weight and lightness, of solidity and transparency - values that I find in my natural subjects. It is the perfect medium, inviting continuing exploration and challenge. I have been privileged to study many of my subjects in the wild; amazing expeditions, whether tracking tigers in India, or following wildebeest migrations through Tanzania. Direct and intimate study of animals is essential. I spend much time in zoos drawing the phenomena of anatomy and musculature, however, such analysis does not overwhelm my work for it is the spirit and energy of the subject that I fundamentally seek to convey. My sculptures are depictions of individual animals I have encountered, those I have spent time observing or who have left a deep impression on me. These are unique portraits, rather than stereotypical, generalized interpretations of a species. I was brought up in London, a childhood with few animals and little experience of wild places or even the countryside. Mine was very much an urban experience, separate from the natural world. My attraction to wild animals was born of the desire to connect with and discover something in their nature which has long ago been lost within ourselves. These pre-occupations became obsessive and led me to study, in particular, the larger mammals and of course primates with whom we share so much - flesh, blood and muscle as well as traits of behavior. But it is other quite unique aspects; the sense of another being, an individual spirit, inherent in each animal that is the true subject for my work. Images courtesy of the artist. See more of her work on her website.